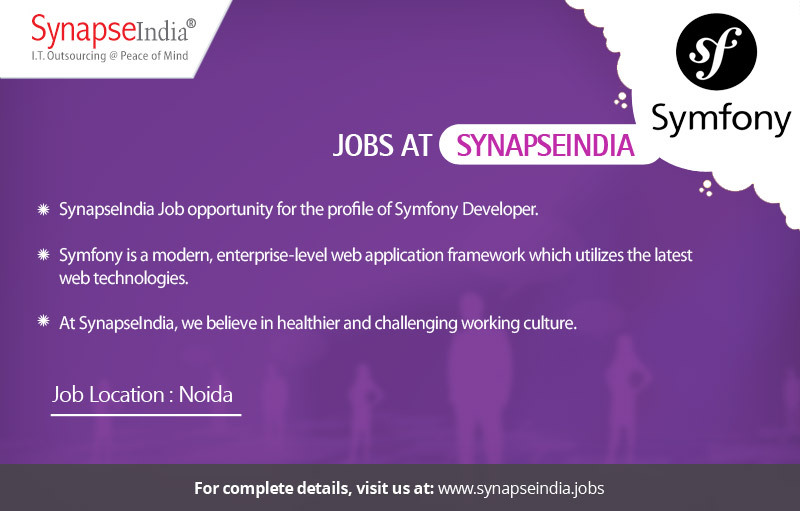 SynapseIndia Job opportunity for the profile of Symfony Developer. Symfony is a modern, enterprise-level web application framework which utilizes the latest web technologies. Shamit Khemka founded SynapseIndia in 2000. Since then the company has emerged as a leading IT solutions provider. We have a workforce of 500+ IT professionals. The company is ISO 9001: 2008 certified. All the projects are quality checked before handing them over to clients. At SynapseIndia, we believe in healthier and challenging working culture.